Located in Modesto, California, G3 Enterprises was founded by the third generation of the Gallo Family with the vision of expanding services and increasing productivity to better serve the wine and spirits industry. With more than four decades of experience, we deliver results while building partnerships with our customers and suppliers. While our VISION is to be the supplier of choice, our MISSION is to be a leader in providing integrated solutions for our beverage and ag industry partners by delivering quality packaging products and supply chain services. Our employees leverage G3's proven experience and diverse portfolio to provide creative solutions that enable our customers' success. Our Label division takes pride in producing quality labels that influence your customers' decision to buy. Through our experience working with boutiques as well as mass brands, we understand the complexity and requirements of both customized Pressure Sensitive and Cut & Stack labels. We provide full service capabilities and choices that allow customers to pick what is best for their creative idea while also meeting their production expectation. Not only are we well known in the wine and spirits industries, but we also extend our portfolio to specialty beverages and food industries that aim for the same quality that wine labels demand. Our customers can rely on our expertise at every step of the process. We offer comprehensive Technical Solutions and Technical Services Support to help our partners succeed. Our Closure division is the most integrated provider in the industry. For almost 50 years, we have consistently delivered quality. We have serviced international markets in Canada, Mexico and Europe. While our reputation is proven in beers, wines and spirits, our products and services also cover non-alcohol beverages such as non carbonate and functional drinks. We provide a full variety of corks, capsules, stoppers, crowns and caps (both standard and customized items), to meet our customers' specific needs. As an ISO 9001-14001 certified manufacturing company with a comprehensive GMP program in place, we work hard to achieve excellence in all aspects of our operation, so that our customers remain confident in the products we produce. G3 Logistics transfer grapes from vineyards to crush facilities, transport bulk commodities, manage imports and exports for our customers and move products via boxcar, intermodal and truck. We are flexible with well-maintained equipment. The revolutionary single serve wine package - the perfect extension for your brand. It's designed on the premise that wine should go everywhere and anywhere - and so should your brand. RoboBottle™ provides real-time feedback that allows mechanics to set up capper heads properly and efficiently. It also runs through bottling lines at full speed, collecting detailed data and then transforming it into troubleshooting advice for capper application issues. Preserve your label integrity and brand appeal with GTREE Label. See it for yourself in our 24 hour Ice Bucket Challenge. We provide creative, integrated solutions for our beverage and ag industry partners with quality packaging products and supply chain services. In partnership with Petainer, Council Brewing is shipping top-quality beer for people to enjoy across the world. The petainerKeg™ California blow mold facility is located in the heart of the Central Valley, allowing customers shorter order lead times. Take a behind the scenes look of the step-by-step blow molding process. MODESTO, Calif. (March 25, 2019) – With summer fast approaching and more wine consumers moving towards alternative wine packaging, StackTek is preparing for a hot summer ahead as it continues to line up key logistic and winery partners. StackTek consists of 4 pre-filled, stemless ‘glasses’ that snap together to form the equivalent of a traditional 750 mL bottle of wine. Single-serve wine options are growing increasingly popular among consumers as it allows consumers to take premium wine on any adventure whether they are hiking, tailgating or concert-going. StackTek ensures the wines maintain freshness with the eco-friendly, convenient and hassle-free pre-filled ‘glasses’ that are 100% BPA-free plastic. The individual single-serve 187ml resemble an elegant and stylish Reidel stemless glass proving popular with consumers. The company has announced a new partnership with G3 Enterprises to handle bottling and logistics. This includes a fully automated, state-of-the-art, dedicated bottling line capable of filling 150 glasses per minute as well as the flexibility to handle co-packing services through G3’s bonded facility in Modesto. The bottling line utilizes a modified atmosphere packaging (MAP) method enabling StackTek to extend the shelf life and ensures maximum freshness of its products. For now, wine is the focus of StackTek, and its design possesses several critical attributes that further lend itself to the needs of both consumers and retailers. Benefits such as portion control and a stylish aesthetic provide a substantial lift in efficiency and incremental sales at retail, venues, and events. StackTek’s vertical multipack of shatterproof, light-weight PET containers and one-of-a-kind patented snapping mechanism makes it easy to store. MODESTO, Calif. (January 25, 2018) – G3 Enterprises has introduced “G3 Boutique” – a new service dedicated to small and mid-sized producers and vintners of high-end premium and super-premium wines throughout California, Oregon and Washington wine regions. The demand for G3 Boutique originated in the North Coast among smaller producers and wineries who, for years, have been underserviced as most wine service and product companies focused on larger producers who tend to have more uniform needs. G3 is launching its boutique offering tailored to the specific demands of these small and mid-sized winegrape growers and wineries which exist in every wine region. This new offering is in addition to the services G3 provides to some of the world’s largest growers and wineries. “While this offering is new for small and mid-sized growers of premium and super-premium grapes and small to mid-sized wineries, it is the same full-scale portfolio coupled with the attention and expertise we provide to all G3 customers. It is tailored specifically to the needs of producers of a few tons of grapes to the top 100 wineries,” said Tom Gallo, VP, Strategic Business Development, for G3 Enterprises. G3 Boutique provides a broad range of products and services to meet the precise needs of both small-end growers and wineries including ½-ton, 2-ton and 6-ton bins for premium grapes, small trucks for hauling, compartmentalized tankers, winegrape processing and bottling equipment, the finest Boisé oak alternatives, premium Diam corks, one-way Petainer Kegs for wine by the glass sales, label printing including digital, offset, flexo, and more. G3 Boutique will also provide a dedicated staff and the same logistical expertise that has made the company an industry leader. For example, growers will have a dedicated customer relations lead with whom they will work throughout the harvest. The customer relations lead will be supported by an account manager and an operations leader so growers can focus more on their vineyard activities, with full confidence that their grapes will arrive on time and in pristine condition to the winery. G3 Boutique will be offered in California, Oregon and Washington while G3’s dedicated Ag Hauling service for small-sized producers will be available in California’s North and Central Coast regions. Also new at Unified, G3 Enterprises will be launching RoboBottle(tm), the first offering from G3’s Open Innovation project. 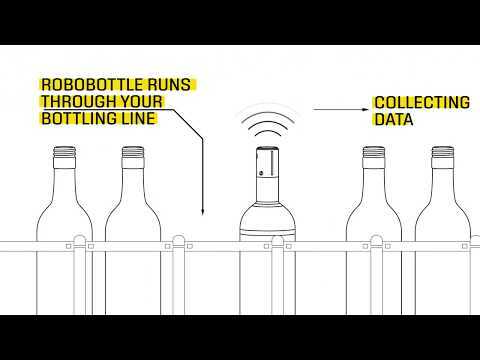 RoboBottle(tm) is a sensing device that looks like a bottle and uses advanced sensors, smart technology and IoT analytics to generate critical information and insights for increasing productivity, improving quality and reducing waste. The original RoboBottle(tm) offering is used to help mechanics set up capper heads and can run through high-speed bottling lines collecting information to begin optimizing the grape to glass chain. G3 Enterprises has more than 30 years of experience in the wine industry providing its customers and growers with reliable services, backed by an experienced team. To learn more about G3 Boutique or RoboBottle(tm), visit the G3 booth (booth 1502) at the Unified Wine and Grape Symposium in Sacramento January 29 – 31 or visit them online at www.g3enterprises.com<http://www.g3enterprises.com>. G3 Enterprises is an industry-leading packaging manufacturer and logistics provider. G3 Enterprises leverages its wide breadth of expertise to help wineries by focusing on innovation, quality, and technical services for all of its clients. The company offers exclusive products and services in the following areas: custom and stock closures with a wide range of options; custom label printing; warehousing and third-party logistics services; transportation; full-service bottling (on-site and mobile capabilities); winery services; glass distribution; bottle etching and decorating; and comprehensive technical and lab services. G3’s unique competitive edge goes beyond its wide range of products and services offerings, and focuses on its experienced employees, who have accumulated knowledge across diverse businesses. The company has provided manufacturing value-added services such as pre-bottling line check-ups and set-ups. G3’s team specializes in oxygen management control in packaging components, including cork, cap, glass, box, single-serve, and PET keg, process modeling and optimization using advanced analytics, and provides consultation and testing for all of its packaging. For more information about G3 Enterprises, visit: www.g3enterprises.com<http://www.g3enterprises.com> or call 1-800-321-8747. Director of Label Operations, Mark Peters, will be speaking at the Wines & Vines Packaging Conference next week on August 9th in Yountville! Join us at Session 2: Consolidation in the Supply Chain from 9:45am to 10:30am as Peters speaks alongside other industry professionals on how to get the best brand packaging presence with a limited budget and power imbalance. We provide creative, integrated solutions for our beverage and ag industry partners with quality packaging products and supply chain services. Learn more at g3enterprises.com. DIAM Bouchage and G3 Enterprises invite you to the Fifth Annual Wine Conversations: A Global Tasting and Marketing Forum. This program aims to provide greater insights and fresh perspectives in winemaking and wine marketing, and is a forum for winemakers and wine marketers to share ideas and learn from one another. This year’s keynote will be delivered by an esteemed panel presenting their takes on current market trends and sharing their position in the market. In addition, hone your tasting skills and enjoy a discussion surrounding a diverse selection of wines in an exciting, double-blind tasting hosted by Master Sommelier Evan Goldstein who has selected top quality wines from all over the world for this master class. This is a unique opportunity not to be missed! Complimentary for qualifed winemakers, enologists, wine marketers, winery purchasing personnel, and journalists by invitation only. Any inquiries, please email sommelier@fullcirclewinesolutions.com. Interested in joining us in Willamette Valley or Paso Robles? Visit these pages for more details and to register! MODESTO, Calif. (January 16, 2018) – G3 Enterprises is now offering EarthLabel™ technology to the wine industry, an environmentally-friendly label alternative to the traditional weld label construction. This new offering is made possible by G3’s exclusive licensing agreement with Smart Planet Technologies for the distribution of EarthLabel technology to the wine industry. EarthLabel technology is an affordable label option which offers superior wet-strength performance compared to traditional welded labels. EarthLabel may be used as an interior wet-strength layer and/or as an outer premium print surface layer complete with the same superior wet-strength benefits. Initially, G3 will pair the EarthLabel technology with its GTREE™ environmentally sustainable, high-performance wet-strength wine bottle label stock. In the near future, G3 will make EarthLabels available for other paper stock offerings. GTREE has one of the greenest environmental footprints of any label stock currently offered. Manufactured from 100% post-consumer recycled fiber (100% PCW), the GTREE label contains true recycled fiber consisting of sorted office paper that has had at least one useful life before being recycled. The GTREE label paper is specially designed for increased resistance to water absorption, allowing GTREE to maintain its premium appearance and high quality print aesthetics even when exposed to ice bucket conditions for prolonged periods. “It’s a powerful combination. EarthLabel technology paired with the GTREE line of paper stock will provide the wine industry with superior wet-strength, cost less, and use less plastic than traditional OPP-laminated wine labels,” said Chris Tilton, Chief Technology Officer for Smart Planet Technologies. G3 Enterprises is an industry-leading packaging manufacturer and logistics provider. G3 Enterprises leverages its wide breadth of expertise to help wineries by focusing on innovation, quality, and technical services for all of its clients. The company offers exclusive products and services in the following areas: custom and stock closures with a wide range of options; custom label printing; warehousing and third-party logistics services; transportation; full-service bottling (on-site and mobile capabilities); winery services; glass distribution; bottle etching and decorating; and comprehensive technical and lab services. G3’s unique competitive edge goes beyond its wide range of products and services offerings, and focuses on its experienced employees, who have accumulated knowledge across diverse businesses. The company has provided manufacturing value-added services such as pre-bottling line check-ups and set-ups. G3’s team specializes in oxygen management control in packaging components, including cork, cap, glass, box, single-serve, and PET keg, process modeling and optimization using advanced analytics, and provides consultation and testing for all of its packaging. For more information about G3 Enterprises, visit: www.G3enterprises.com or call 1-800-321-8747. Smart Planet Technologies is a materials engineering company focused on advancements in sustainability for the packaging industry. Through innovation, our technologies are focused to conserve precious natural resources and provide high quality, environmental alternatives to a wide variety of rigid, flexible, barrier liners, labels and other packaging applications. 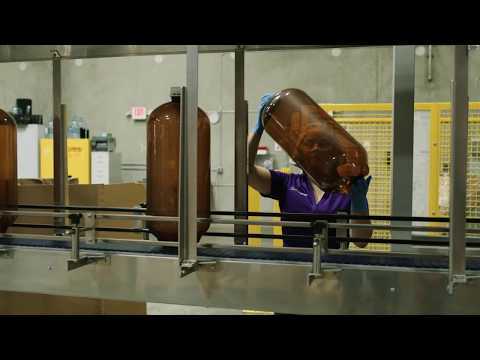 petainerKeg™ California Blow Mold Facility - Watch Now! MODESTO, Calif. (October 16, 2017) – G3 Enterprises announced today that the family-owned company is donating a total of $100,000 to the American Red Cross and Salvation Army to assist in their efforts to respond to the Wine Country Fires. G3 will also be covering the cost of transporting numerous truckloads of donations to the affected areas. To support G3 employees’ individual efforts, G3 will provide a 200% match of all G3 employee cash donations to relief funds in the area. “We have employees and customers throughout the region, so we consider this ‘home’. We’re hopeful that the joint efforts of companies like ours and individuals like our employees will provide some relief and comfort during this difficult time. Our thoughts and prayers are with the entire community as they continue to manage this heartbreaking situation,” said Tom Cook, Chief Executive Officer. If you'll be attending the Wines & Vines Packaging Conference in Yountville on August 16th, then be sure to stop by our booth #41. We can't wait to see you there! How can the gap between technological maturity and the phenolic content in red wines be managed? The 2016 harvests kicked off a month ago with the sparkling wines and thus far, the vintage has been one of the most plentiful in many years. The growing and maturation conditions have been good, with little water stress in spring and during summer, and after ripening, temperatures have been high but with a good range between days and nights. Good to great potential for fruity wines. In these almost perfect conditions, there’s great temptation to push maturity as far as possible. However, this decision could have consequences on the alcohol’s impact in terms of the balance in the palate, the color stability and the appearance of dry vegetal aromas. Here are some tips for adjusting the techniques used to optimize 2016 red grape potential. As mentioned above, the weather in August and September will allow the ripe fruit aroma windows to be attained for most vineyards. A “ripe fruit” harvest may have a significant impact on the level of alcohol, which may lead to aggressive end notes, particularly if there’s a high polyphenolic concentration. This may also include color instability. micro-oxygenation during aging, with a moderate to average input, will help to stabilize the coloring matter and round up the tannin expression in the palate. On certain blocks, which have experienced slight water stress, choosing a later harvest date may lead to the evolution of fresh vegetal characters to dry vegetal aromas. The perception of these dry vegetal traits can be lowered by the addition of wood, with or without micro-oxygenation. for dry vegetal, add wood via a mix of Boisé BF (1 g/L) + AFR (2 g/L) + DC180 or DC190 (1g/L) + DC310 (0.5 g/L) post AF. The slow and moderate input of oxygen fills the mid-palate, transforms the polyphenolic structure of the wines and makes them more resistant to oxidation. It’s the perfect tool for preserving the fruit and color of the wines while lowering their tannin aggressiveness in the palate. The Visio and Eco2+ range allow the safe input of this oxygen. Boisé AFR comes from a wood selection with very low toasting, specially designed to bring freshness and vivacity to your wines by improving palate imbalances caused by the alcohol. Complemented by Boisé BF chips, whose main goal is to add volume to the mid-palate, you will bring back concentration and balance in the mouth. MODESTO, Calif. (July 8, 2016) — The Oeneo Group and G3 Enterprises, Inc. announced today that they will expand their partnership to include exclusive U.S. distribution of the Boisé® brand, a line of premium oak products helping winemakers to create precise and consistent wine profiles. Owned by the French company Vivelys, the Boisé brand is recognized as a world leader in innovative oak alternatives. Boisé shares the same winemaking vision as its parent company, Vivelys: to enhance and customize the heritage of wine by integrating innovation at the heart of the production line. Boisé focuses on French Quercus Cecile Oak, which is considered among the very best oak wood available. Each of the eleven available chip styles has specific organoleptic characteristics that enable the winemaker to directly impact the wine aromatic profile and the balance in the mouth. While G3 will bring its wide distribution network and customer service expertise to the partnership, Vivelys will continue to have consultants based in California to help address customer needs and answer technical questions about the oak chips. G3 Enterprises is an industry-leading packaging manufacturer and logistics provider. G3 Enterprises leverages its wide breadth of expertise to help wineries by focusing on innovation, quality, and technical services. The company offers exclusive products and services in the following areas: custom and stock closures with a wide range of options; custom label printing; warehousing and third-party logistics services; transportation; full-service bottling (on-site and mobile capabilities); winery services; glass distribution; bottle etching and decorating; and comprehensive technical and lab services. G3’s unique competitive edge goes beyond its wide range of product and service offerings, and focuses on its experienced employees, who have accumulated knowledge across diverse businesses. The company provides value-added manufacturing services such as pre-bottling line check-ups and set-ups. G3’s team specializes in oxygen management control in packaging components, including cork, cap, glass, box, single-serve, and PET keg, process modeling and optimization using advanced analytics, and provides consultation and testing for all of its packaging.. For more information about G3 Enterprises, visit: www.G3enterprises.com or call 1-800-321-8747. Closures: with its two subsidiaries, DIAM and Piedade Cork Closures. MODESTO, Calif. (June 2, 2016) – G3 Enterprises, Inc. (G3), a leading packaging manufacturer and logistics provider for the wine industry, announced today that it has acquired Grigsby Label, the label printer of choice for many of California’s largest and most prominent wineries, distilleries, fine food companies, and beauty product manufacturers. 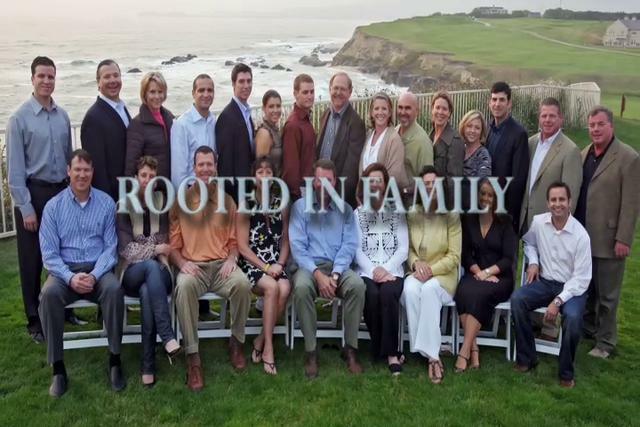 Based in El Dorado Hills, California, Grigsby Label and its founders possess more than 25 years of experience producing award-winning premium wine labels. Specializing in high quality flexographic printing capabilities, Grigsby Label is considered to be among the best wine label printers in the business. And like G3 Enterprises, Grigsby Label is a family-owned business with a strong commitment to consistent and reliable customer service. With the combination of their resources and highly-qualified teams, G3 and Grigsby intend to offer an even greater array of label products to a growing number of customers. DIAM and G3 Enterprises invite you to the third annual Wine Conversations: A Global Tasting and Marketing Forum in Napa Valley on May 3 and Paso Robles on May 5. This program aims to provide greater insights and perspectives in winemaking and wine marketing, and is a forum for winemakers and wine marketers to share ideas and learn from one another. This is a unique opportunity for any winery personnel in winemaking, procurement and marketing. Master Sommelier Evan Goldstein has selected top quality wines from all over the world for an exciting, double-blind tasting. Hone your tasting skills and enjoy a panel discussion with top winemakers in this master class hosted by Evan. He is one of the nation’s most prolific food and wine industry veterans. In 1987 he became the eighth American and youngest ever at the time to pass the prestigious Master Sommelier examination. He has since written several critically-acclaimed books, including Perfect Pairings , Daring Pairings and An Essential Guide to the Wines of South America. Our goal is to bring you fresh perspectives from the marketplace each year. This year’s keynote will be delivered by Master Sommelier Devon Broglie from Whole Foods Market will present The Retail Experience: The 15-year veteran of Whole Foods Market explains his journey and the moment when he decided to focus his professional energy in a grocery store. How he and team select and curate a selection of the highest quality wines that always over deliver. What goes in to creating an exciting and trusted retail destination. And why he believes Whole Foods has the ability to change the way the world drinks. Complimentary for qualified winemakers, enologists, wine marketers and winery purchasing personnel. Please RSVP by April 26th, 2016 at wineconversations.eventbrite.com or call 415.683.0696. MODESTO, Calif. (January 25, 2016) – G3 Enterprises is committing resources to provide totally integrated packaging solutions from grape to glass. Their focus will be on innovation, quality and technical services to continue to meet the needs of the wine, spirits and beer industries. Throughout the year, the company will offer expanded services and introduce new products to its customers. G3 Enterprises leverages its wide breadth of expertise to help wineries by focusing on innovation, quality and technical knowledge and services. G3’s competitive edge goes beyond its uniquely wide range of products and services and focuses on its experienced employees who have accumulated knowledge across diverse businesses. The company has provided manufacturers with value-added services such as pre-bottling line check-ups and set-ups. Additionally, G3 offers services to evaluate machine conditions and settings, improving bottling line efficiencies for established wineries and new start-ups. G3’s team specializes in oxygen management in packaging components including cork, caps, glass, boxes, single-serves and PET kegs. G3 also performs process modeling and optimization using advanced analytics, and provides consultation and testing for all its packaging. To kick off 2016, G3 teamed up with Petainer, a global PET and other plastics packaging business, to drive US expansion. The two partners announced they have launched a new blow molding hub in Modesto, California, which has the flexibility to mold kegs for wine, beer, cider and other beverages. The new operation is up and running to address their customers’ need for a flexible manufacturing approach and reduced logistics costs so they can react quickly to market demands. The G3/Petainer partnership also offers a wine-industry first turn-key mobile kegging line to meet the growing popularity of wine-on-tap. Instead of the current practice of shipping wine offsite to be bottled, the new mobile keg bottling line comes directly to the customer’s location where the wine will be filled on-site into Petainer’s 20-liter one-way PET kegs. The winery customer will be in control of their keg filling and storage. G3 Enterprises’ team of experts will perform all quality monitoring and control including inspecting for dissolved oxygen every hour, checking for appropriate cap application and fill levels and monitoring filter pressures. G3 Mobile Bottling prides itself on packaging flexibility, capable of handling bag-in-box from 1.5L through 5L, bottles from 50ml through 1.75L, Petainer kegs and the Zipz single-serve PET package. G3 will be further expanding that flexibility with Guala Closures Group to become the first mobile bottler in California capable of applying Guala’s WAK closure, a torque-on cap with a unique patented internal thread. G3 will offer this new service beginning in April, 2016. The addition makes G3’s bottling operation the most versatile offering of packaging (GLASS, BOX, PET, KEG, and SINGLE SERVES) and closures in the industry. “Agility and customer focus are part of our core values. We will continue to develop partnerships and provide creative solutions to the industry we serve,” concluded Cook. At the Unified Wine & Grape Symposium in Sacramento, January 27 – 28th, G3 Enterprises will showcase a variety of products and services including its GSEAL OTR Controlling Liner Technology, G INK Decorative Technology, petainerKeg™ and Alternative Packaging. Additionally, G3 Enterprises will also have technical sessions at their booth #411 where customers can meet the experts. About G3 Enterprises: Founded by the third generation of the Gallo Family, G3 Enterprises serves the wine and spirits industry with quality packaging products and supply chain services. With a talented team of experts providing customers a variety of creative solutions and outstanding customer service, G3 Enterprises offers a wide range of supply chain solutions including labels, closures, transportation, warehousing, and mobile bottling. G3 is the exclusive distributor for Petainer in 13 states in the Western U.S. For more information about G3 Enterprises, visit www.G3enterprises.com. G3 Enterprises - Zipz Single Serve Package has won the 2015 WINnovation Award. G3 Enterprises and Zipz have partnered to bring the newest design to the industry - Zipz, the elegant single serve wine package with the best oxygen management system in the wine industry. A concept first seen on Shark Tank in 2014, Zipz and G3 have partnered into develop the next generation of high quality single serve packages and the most advanced bottling line. The revolutionary package design, made of high quality, eco-friendly PET with patented CleanWrap™ technology, combined with G3’s custom-built state-of-science bottling line, enable premium, high quality wine to stay fresh up to 12 months. Zipz was designed on the premise that wine should go everywhere and anywhere – and so should your brand. MODESTO, Calif. (July 23, 2015) – To meet the growing demand of winemakers and winery owners around the world, Diam Bouchage has announced the opening of a new plant in the Pyrénées-Orientales, adjacent to the company’s main office in France. With this new plant, Diam Bouchage will purify an extra 3,600 tons of cork flour, enabling the company to increase production to 2 billion closures annually. Currently, the company produces 1.3 billion closures each year. The new plant has an integrated 300m² laboratory equipped with cutting-edge technology and geared towards innovation. Diam Bouchage built its success on a revolutionary closure solution that guarantees no cork TCA (releasable TCA < the measurable limit of 0.3 ng/l). While France remains the main market, accounting for 30% of sales, Diam is significantly developing its international market with a presence in 42 countries around the world including in the Unites States. The company recently celebrated its 10 year anniversary. Earlier this year, G3 Enterprises, the sole distributor of all Diam products in the United States Canada and Mexico, announced the completion of a series of upgrades to its cork room to boost its capacity to produce high-quality Diam closures. Improvements made to G3’s cork room included the addition of five new single head printers which have the ability to print over one million corks per day. Also, a new coater was added to improve application consistency and efficiency. With the upgrades, G3 can now handle a batch range from 6,000 to 20,000 corks; improve coating application; ensure appropriate coating quantity; and reduce potential for mixed cork. All the work is performed in a controlled processing room at 68 degrees Fahrenheit. 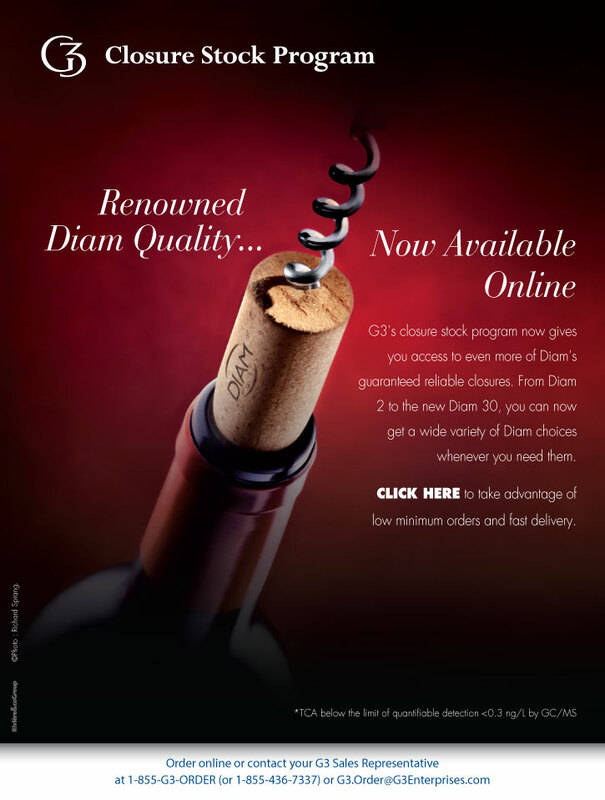 G3 Enterprises, a leading packaging and logistics company for wine and spirits, is the sole distributor for all Diam products in the United States. 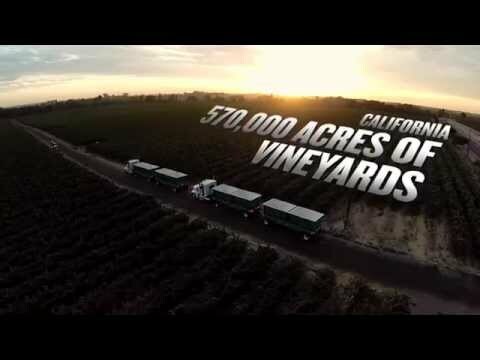 It was founded by the third generation of the Gallo Family to serve the wine and spirits industry with quality packaging products and supply chain solutions. With a talented team of experts offering customers a variety of creative solutions and outstanding customer service, G3 Enterprises offers a wide range of supply chain assistance including labels, closures, transportation, warehousing, and mobile bottling. For more information about G3 Enterprises, visit: www.G3enterprises.com or call 1-800-321-8747. Diam Bouchage is a leader in manufacturing technological cork closures wines including Diam for still wines, Mytik for sparkling wines and Altop for spirits. A leader in the manufacturing of technological corks, Diam Bouchage is a subsidiary of Oeneo, a group dedicated to serving the wine industry. Visit: www.diam-closures.com for more information. Each year, the company sells more than three billion closures around the world. Its sales figures are set to reach 102 million euros in 2015. Continuing their commitment to innovation in wine packaging, G3 Enterprises introduced their newest solutions at the Unified Wine and Grape Symposium. Among the products on display were G3’s new GTWIST 30×60 Cap Collection which is the latest addition to the existing GFRESH caps for lightly carbonated wines, G INK decorative ink effects, and new GSEAL oxygen transmission rate controlling caps. These exciting 30×60 cap offerings combine the powerful creative features of G INK with new patent-pending cap liner options. The new GSEAL caps feature a wide range of oxygen transmission rates matching the ingress of many existing closure types. These options make it easier for a winemaker to transition into the GTWIST without affecting the oxygen mediated development of the wine. 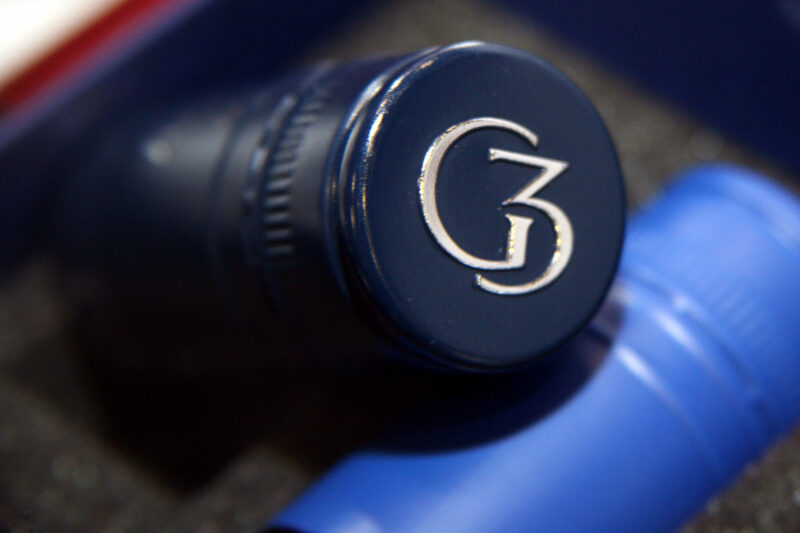 In addition, G3 offers onsite technical service support including complimentary start-up assistance for wineries transitioning to GTWIST Caps. With the new liner technologies, G3 addresses one of the most important technical aspects of quality packaging – product protection. This year, G3 has added to the interactive capabilities of G INK with photochromic inks that react to ultraviolet light, such as the sun. For example, when a bottle is taken outdoors and exposed to sunlight, the cap and label decorated with this technology will change colors revealing a new image or message. 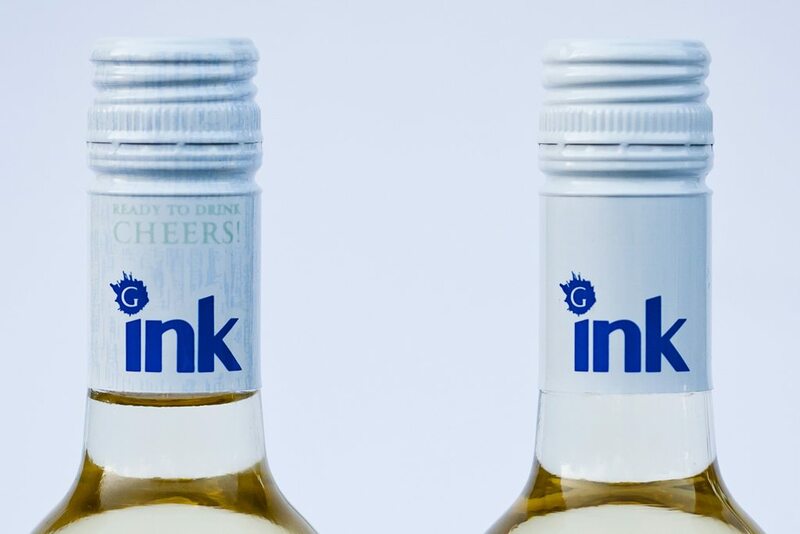 These G INK technologies work both on the cap and on the label allowing wineries an amazing array of design options. In addition to these unique inks, GTWIST Caps also offer new elegant premium top image emboss and foil, along with decorated side foil options that immediately catch the eye of consumers. MODESTO, Calif. (February 24, 2015) – G3 Enterprises announced today it is entering a partnership with Petainer, an industry-leading manufacturer of PET containers, to leverage the growing popularity of wine-on-tap by offering a one-way keg container that is both environmentally and economically friendly. Extensive independent test results clearly demonstrate that the Petainer Keg™ is capable of delivering the flavors, aromas and structure of high-quality wines that discerning on-premise and retail customers demand. The environmental benefits of the light-weight, fully-recyclable Petainer keg system includes low carbon emissions and reduced freight costs. G3 Enterprises will begin offering the wine kegs March 1, 2015. For more information, call 1-800-321-8747 or email: G3.info@G3Enterprises.com. G3 Enterprises was founded by the third generation of the Gallo Family to serve the wine and spirits industry with quality packaging products and supply chain solutions. With a talented team of experts providing customers a variety of creative solutions and outstanding customer service, G3 Enterprises offers a wide range of supply chain solution including labels, closures, transportation, warehousing, and mobile bottling. G3 is the exclusive distributor for Petainer in 13 states in the Western U.S. For more information about G3 Enterprises, visit: www.G3enterprises.com or call 1-800-321-8747. 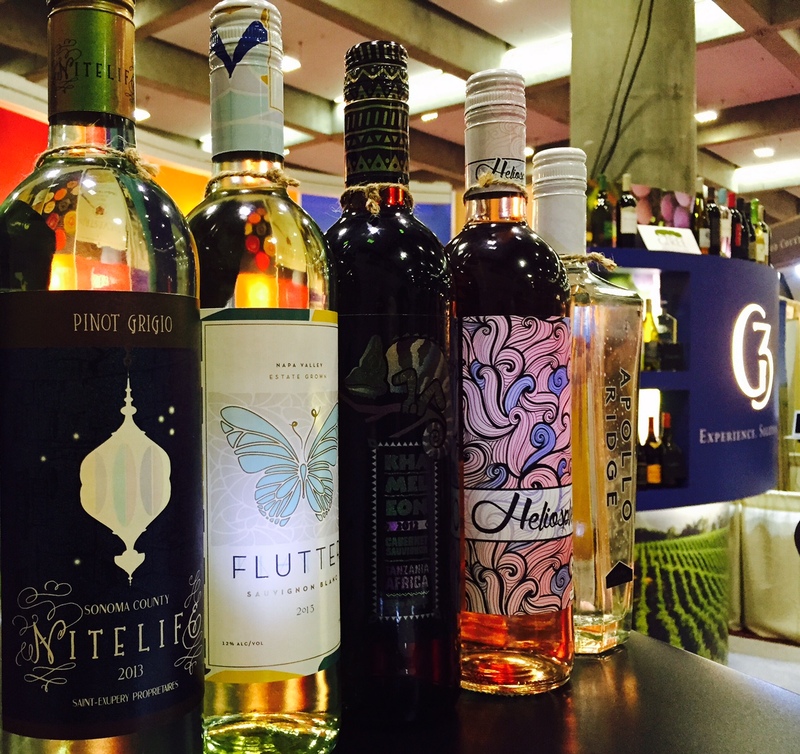 MODESTO, Calif. (January 23, 2015) – G3 Enterprises has expanded its product portfolio and will be introducing some highly-innovative new products and packaging partners this month at the 2015 Unified Wine and Grape Symposium. The new products are designed to enable wine producers’ flexibility to respond to consumer needs and lifestyles. The new products to be unveiled at the G3 Enterprises booth (#443) include the new GTWIST Cap collection and Zipz single-serve cups. The GTWIST Cap Collection combines wine protection liner technology and impressive design to provide a convenient, creative closure solution for any wine program. 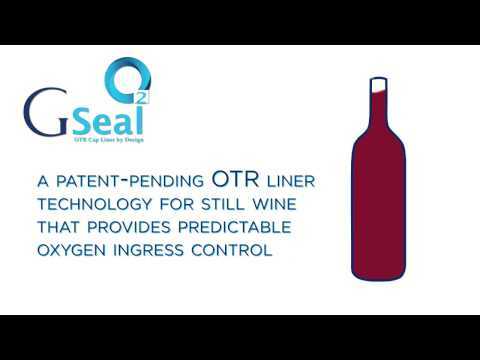 It offers GSEAL, the newest, patent-pending oxygen transmission rate controlling liners, to protect wine quality. A wide-range of GTWIST cap design options also allows wineries to have greater brand impact in store, on premise or at home. The GTWIST Cap offers new, elegant, premium top image emboss, decorated side foil or paint and new GINK technologies to allow more creativity. To make it easier for wineries transitioning to cap closures, G3 also offers onsite technical service support including complimentary initial qualification & start-up assistance. G3 Enterprises will display the revolutionary Zipz single-serve packaging (as seen recently on ABC TV’s Shark Tank) at its booth during the Unified Wine and Grape Symposium. Zipz provides an elegant single serving of wine in a clean, fully-recyclable, grab-and-go wine glass shaped package. This helps both inventory control and eliminates wasted wine from bottle pours. It features 100% recyclable PET Glass and comes with a lid that when removed, snaps on the bottom as a coaster and can be resealed to prevent spills. The lid is also perfect for branding with a logo, venue name or special event. The packaging has a UV clean wrap to to extend shelf life by protecting the wine from damaging light and is also available for custom branding. G3 Enterprises is working as the exclusive co-packer for Zipz and is constructing a new bottling line at its Modesto facility to ensure the highest product quality and increase bottling capacity while working to further improve the cup design and seal. 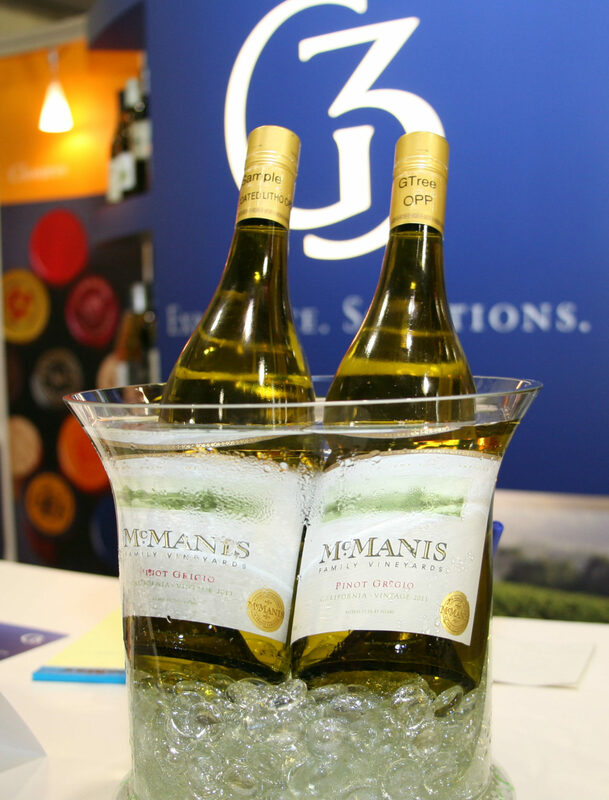 “G3 Enterprises is offering some of the most exciting products for today’s beverage industry and I encourage those interested in these and other G3 products and services to schedule an appointment for a demonstration at the G3 booth (#443) at the Unified Wine and Grape Symposium,” said Cook. 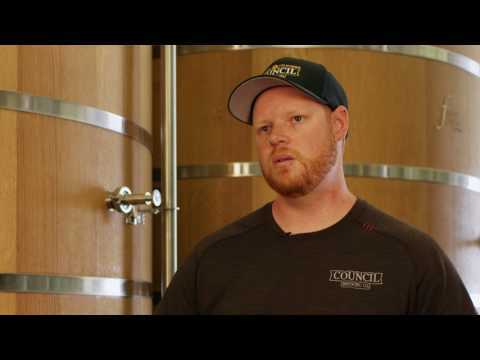 MODESTO, Calif. (January 15, 2015) – To meet growing demand from the nation’s winemakers and winery owners, G3 Enterprises has just completed a series of upgrades to its cork room to boost its capacity to produce high-quality Diam closures. Among the improvements made to G3’s cork room include the addition of five new single head printers which have the ability to print over one million corks per day. Also, a new coater has been added to improve application consistency and efficiency. With this new investment, G3 can handle a batch range from 6,000 to 20,000 corks; improve coating application; ensure appropriate coating quantity; and reduce potential for mixed cork. All the work is performed in a processing room at a controlled 68 degrees Fahrenheit. G3 Enterprises provides integrated packaging products and logistics services for the beverage industry and it is the sole distributor of all Diam products in the United States Canada and Mexico. 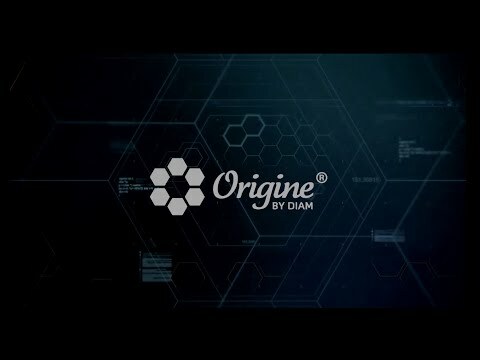 The company works closely with Diam Bouchage to ensure a consistent supply of superior closure products. 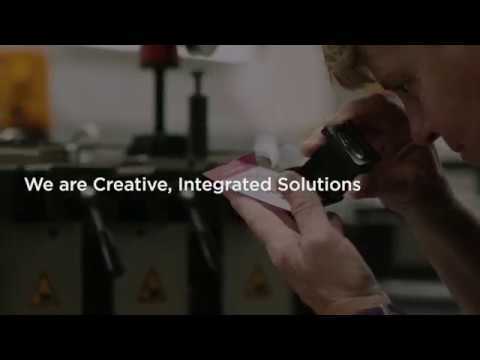 The company prints and finishes Diam closures at its state-of-the-art facility in Modesto and manages sales and customer service from qualification to order, sales and marketing and on-site technical services. G3’s Closures Division is an ISO 9001, 14001 and FSSC22000 sustainably certified facility. Diam Bouchage is a leader in manufacturing technological corks including Diam for still wines, Mytik for sparkling wines and Altop for spirits with options in wine aging potential, permeability, dimensions and branding. Its production facilities are ISO 22000 and FSC certified. 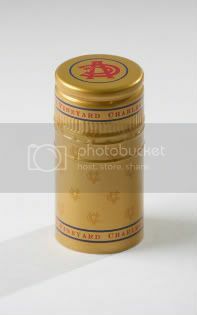 For the past ten years, the company has invested in a patented process called DIAMANT® process which exploits the properties of CO2 to extract the volatile compounds of cork and eliminate the risk of “cork taint.” Each year, the company sells more than one billion closures around the world. G3 and Diam will exhibit Diam and Mytik closures at the Diam booth #410 at the Unified Wines and Grape Symposium in Sacramento, California on January 28-29, 2015. G3 Enterprises was founded by the third generation of the Gallo Family to serve the wine and spirits industry with quality packaging products and supply chain solutions. With a talented team of experts offering customers a variety of creative solutions and outstanding customer service, G3 Enterprises offers a wide range of supply chain assistance including labels, closures, transportation, warehousing, and mobile bottling. For more information about G3 Enterprises, visit: www.G3enterprises.com or call 1-800-321-8747. Diam Bouchage manufactures and markets technological cork closures for still wines (Diam), sparkling wines (Mytik) and spirits (Altop). A leader in the manufacturing of technological corks, Diam Bouchage is a subsidiary of Oeneo, a group dedicated to serving the wine industry. Visit: www.diam-closures.com for more information. The G3 culture is entrepreneurial and exciting. 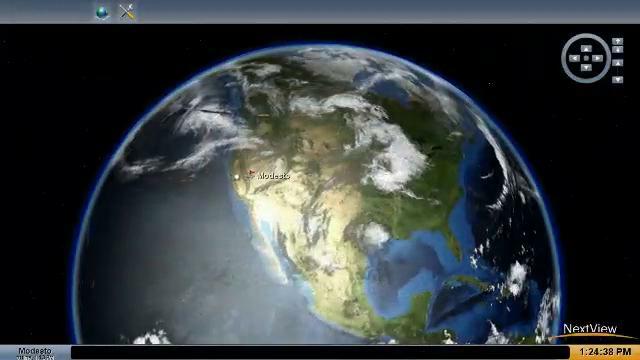 We are California-based yet support global operations and a worldwide network. Our culture is dynamic and responsive to both customers and trends. We are continually looking for growth opportunities, so creativity and self-improvement are encouraged and rewarded. Our people have a "can do" attitude, and welcome new challenges and opportunities. Headquartered in Modesto, CA, G3 Enterprises has been supplying the wine and spirits industry for over 50 years. As a single source packaging solution, its products and services include labels, stock and custom closures, warehousing, transportation, bottle etching, and mobile bottling. The key to the success of G3 is our people. We offer our team a chance to grow, with a competitive rewards package, including comprehensive medical, dental, and vision coverage, and a generous retirement plan. The Marketing Coordinator will be responsible for performing marketing related activities toward the achievement of the sales and marketing goals of G3. The primary focus of this position is to coordinate and implement marketing activities and gather and analyze relevant market/competitor information, with the ultimate goal of developing new customers and building business with existing customers. • Coordinates and implements marketing communication projects with responsibilities that include trade shows, event sponsorship, advertising, websites, public relations, and customer programs. • Participates in the creative and content development of sales and marketing promotional materials with in-house designers, outside advertising agencies, media, and other vendors. • Organizes the preparation of proposals, market research and presentations using various marketing resources and materials such as brochures, data, slides, photographs, and reports. • Researches and provides market information, competitor activities, and business related analyses and trends to assess the impact of various projects and business. • Works cross-functionally to gather information, monitor project progress, update marketing leads, and prepare reports. • Tracks and implements execution timeline and expenses of marketing activities. • Keeps inventory of sales promotion, trade displays, and marketing materials. • Maintains customer database with CRM program. • Effectively responds to new situations, manage a large number of tasks and demands, respond promptly, and handle substantial job stress levels without close supervision while remaining courteous and professional. • Responsible for understanding and complying with applicable quality, environmental and safety regulatory consideration. • This job description reflects management’s assignment of essential functions; it does not prescribe or restrict the tasks that may be assigned. • Bachelor’s degree in Marketing, Business Administration, Communications, or Advertising plus 1 year of marketing/marketing support, event compliance, or sales experience; or 5 years of marketing/marketing support, event compliance, or sales experience reflecting increasing levels of responsibility. • Experienced in reading and comprehending simple instructions, correspondence, and memos. • Experienced in writing simple correspondence and procedures. • Skilled in adding, subtracting, multiplying and dividing in all units of measure, using whole numbers, common fractions, and decimals. • Bachelor’s degree in Marketing, Business Administration, Communications, or Advertising plus 3 year of marketing/marketing support, event compliance, or sales experience reflecting increasing levels of responsibility. • Knowledge of marketing fundamentals with an emphasis on market and competitive research and analysis, development of marketing collateral, and website development. • Experience in project management and prioritizing and handling multiple projects simultaneously with high attention to details. • Excellent oral and written communication skills and comfortable to be working with the public. • Creative thinker with the flexibility to multi-task. • A business minded attitude and positive mindset. • Strong Word, PowerPoint, and Excel skills. • Familiar with a design program and CRM administration are a plus. While performing the duties of this job, the employee is frequently required to sit; use hands to finger, handle or feel and talk or hear. The employee is occasionally required to stand, walk and reach with hands and arms. Specific vision abilities required by this job include close vision. John Cunningham accepts WINnovation Award from George Christie. Tuesday night, at the second annual Wine Industry Awards reception G3 Enterprises received the WINnovation Award for excellence in innovation, honoring their ingenuity and technical achievement in developing the G-Ink, which unleashes a new realm of creative possibilities for packaging designers to make impactful designs. 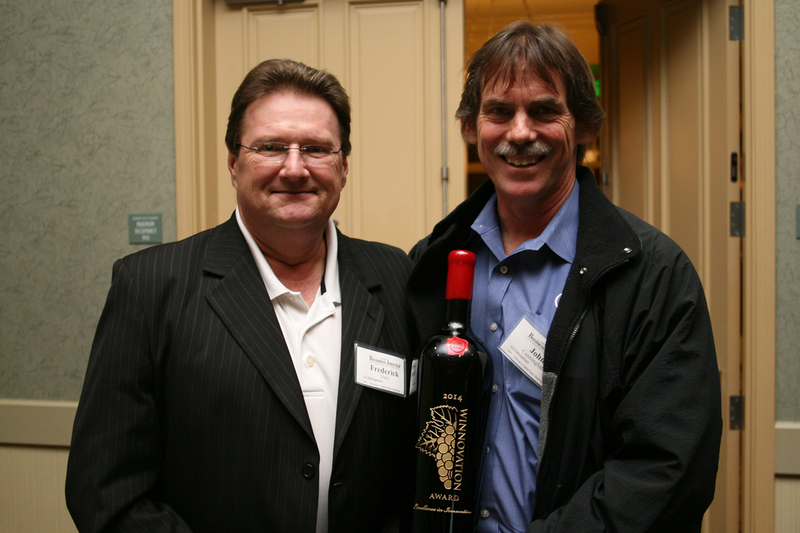 George Christie, President of the Wine Industry Network, presented John Cunningham, Director of Innovation at G3 Enterprises, with the award. The G-Ink features both Bichromic and Thermochromic capabilities, which means that it can change appearance depending on viewing angle or package temperature. This gives the bottles added dimension and engages the consumer. 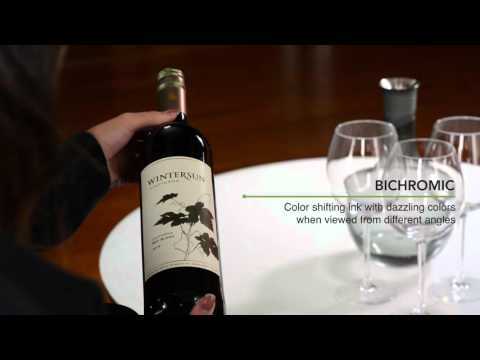 G-Ink was introduced at the 2014 Unified Wine & Grape Symposium, however, the thermochormic and bichromic demo bottles at the Unified show were only a preview of what the G-Ink technologies offer. For more information contact G3 at g3.info@g3enterprises.com. We have a tradition for wine as gifts, both in the everyday and for very special occasions. Of course we want a wine that tastes good, but especially for the milestones in life, it is perhaps even more important that the bottle reflects the significance of the moment and can last over time, even after the wine is gone. Bottle etching became part of the G3 Enterprises portfolio in 2003, and it compliments their full range of total packaging solutions for the wine industry. “We work with both full and empty bottles,” says Lesnett, “our jobs range from one bottle to several thousand.” Besides etching, the facility also does wax dipping, which creates a beautifully finished wax seal around the neck of the bottle. Not every print design can be replicated exactly, and sometimes accommodations have to be made for very fine print and detail, which cannot be done with etching and hand painting. “With etching we are limited to either a raised or lowered surface for detail, and some designs are more suitable for etching than others. Our goal is to be proud of the result and have our customers feel the same way,” explains Lesnett. Seeing all the bottles on display from past projects at the production facility; it is striking how even the simplest designs take on an additional dimension with the depth of the etching. It compels you to reach out, get that tactile sensation of the cut glass, and confirm that it’s not just an optical illusion. 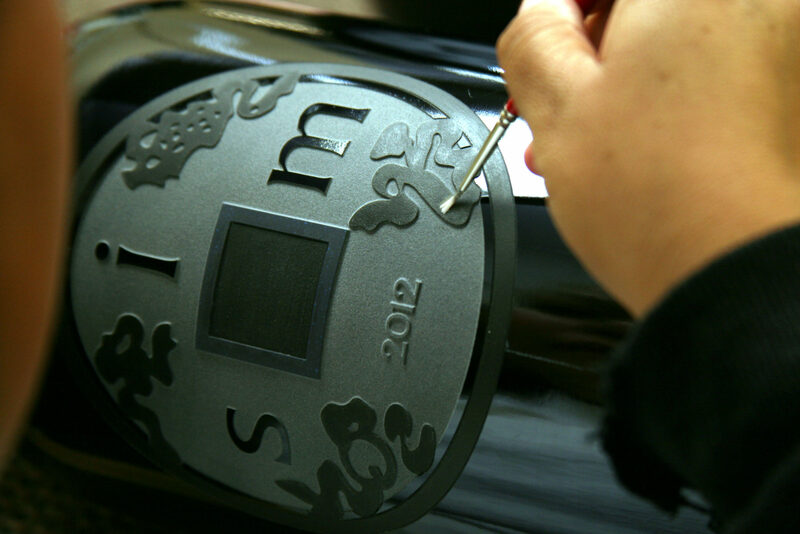 Etching brings richness to a bottle and provides a brand with a certain timeless quality. The bottle is transformed from a functional vessel to piece of art that can be used for display in a tasting room, auctioned for charity, or given as a treasured gift. See more pictures from G3 Bottle Etching. Special Pricing in the G3 online store! For a limited time, G3 has provided special pricing on several items in the online store for wine closures. The red and yellow polylaminate capsules are discounted to $82.93 for a case of 2,944.The G3 still wine polylaminate capsule is engineered to provide precise bottle fit and optimal bottle application. This closure offers a refined, traditional look while providing tamper-evidence for still wine, spirits, and fancy food packaging. Made by a three-layer structure of aluminum, polyethylene, and aluminum laminate, the G3 still wine polylaminate capsule provides the similar luxury appearance of a tin capsule. We currently offer stock still wine polylaminate capsules in 55mm (fit for most 750 mL wine bottles) with a top emboss decoration. Act now and place your order at g3order.com! G3 Enterprises, the undisputed industry leader in wine packaging solutions, has leaped further to the forefront with a new press, a sustainable wine label, and an innovative cap and labeling system designed for lightly-carbonated wines attractive to millennial consumers. That innovation includes the recent acquisition of a brand new Flexo Press, manufactured by Nilpeter in Denmark, with the flexibility and print quality rivaling or exceeding that of offset printing. G3 press operators and engineers worked hand-in-hand with Nilpeter in custom building this new press, and are excited about its capabilities. The Modesto-based G3 Enterprises has been providing superior packaging and supply chain services to the wine, spirits, craft beer and specialty food industries for more than five decades. Its successful wine label division is comprised of technical experts who are there for customers from the design phase through execution. 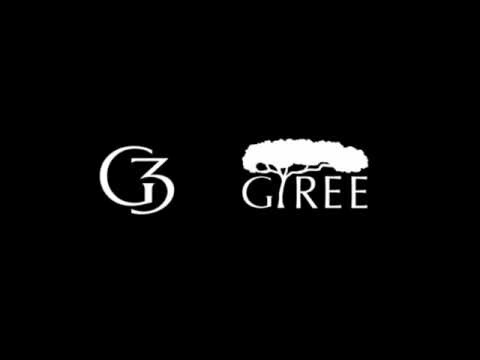 G3 engineers are the co-creators of GTree, an environmentally sustainable wine label that has revolutionized the wine industry with unparalleled wet appearance performance in ice bucket test results. G3 recently received a Forest Stewardship Council (FSC) certification for their GTree PCW label. According to Fred Dale, Director of G3 Technical Services, wineries that use the FSC logo on their labels can now demonstrate to their end-use customer that the material is sustainably produced. G3 has also just introduced GFRESH, a cap and label-packaging solution for lightly carbonated or “frizzante” wines. Its pressure-sensitive design allows for the commercial application of labels to cold, wet surfaces without the complications of cold-glue technology during bottling. G3’s Labeling Division is gearing up for further expansion and continuing technological advances in the coming decade. According to Stone, the company’s unprecedented success is rooted in expertise, market focus and superior customer service. MODESTO, Calif. (July 15, 2014) – Responding to research indicating a consumer is more likely to purchase a bottle once they pick it up from a shelf, G3 Enterprises is now offering G Ink™ which is revolutionizing the consumer shopping experience and capturing international awards. The G Ink™ offers both Bichromic and Thermochronic ink options. The Thermochronic option allows a label or cap to change appearance at designated temperatures. The Bichromic option provides a color shifting effect when the package is viewed at different angles. Recently, International Metal Decorators Association has recognized G Ink™ Bichromic Cap with two international awards – Best of Category Closures and Technical Achievement – at its 2014 International Metal Decorators Association Annual Conference. G3 Enterprises is working closely with designers and wineries to develop unique, integrated bottle designs to take full advantage of the G Ink technology. For more information or request for samples, visit www.g3enterprises.com or email G3.info@G3Enterprises.com. Order online from www.G3Order.com closure stock online store. New Products: Diam 2,3,5 and 30 for still wine and Ref beer corks. Wineries (except the broker states below) can order direct with a bag minimum. Diam Order: The DIAM® products described on this website are not available for direct purchase in the following states: AL, AR, CO, CT, DE, DC, FL, GA, IL, IN, KS, KY, LA, ME, MD, MA, MI, MN, MS, MO, NE, NH, NJ, NM, NY, NC, ND, OH, OK, PA, RI, SC, SD, TN, VT, VA, WV, and WI. Anyone from the aforementioned states interested in purchasing a DIAM® product should contact a Customer Service Representative atg3.order@g3enterprises.com for more information. 28. That's how many times an hour our team of quality control experts verifies, analyzes, checks and re-checks the condition of your product; and at G3, that's all part of the job. In fact, you'll find that same level of care throughout our entire Mobile Bottling process. Each of our units is ISO 9001 and 14001 certified and equipped with industry-leading technology and numerous packaging solutions all aimed at expanding your bottling options. Trust us, once G3 Mobile Bottling visits your location, 28 will be your new favorite number. MODESTO, Calif. (June 2, 2014) – G3 Enterprises has recently installed a new Nilpeter Flexo Press providing customers with the latest technology to meet the ever-changing demands of wine label designs. The press was manufactured in Denmark by Nilpeter, the world’s leading manufacturer of printing presses for the wine industry. Working with Nilpeter, G3 Enterprises was able to tailor the new press to meet its specific needs with the flexibility and print quality rivaling or exceeding that of offset printing. G3 Engineers worked side-by-side with Nilpeter engineers to custom-build the new press to provide state-of-the-art printing solutions. The advantages of the new press include auto side-to-side registration, increased pressure sensitive capacity and expanded print capabilities including flat foil and emboss tooling. The new Flexo Press also provides better printing, better color control and eliminates any concerns about ink and water balance for high-quality wine labels. It begins with a need; a challenge faced by the wine industry. How do we improve our wine’s shelf life, how do we make our product stand out on the shelf, how do we become more sustainable? The strategy at G3 is to provide innovative cost-effective solutions ensuring the customer’s product success and improving their sales. G3 continues looking for creative solutions that perform as well or better than the industry standard. One such solution is GTREE® Paper; a 100% post-consumer waste label stock that performs well in the printing process and on bottling lines. To increase the consumer’s satisfaction even further, GTREE labels are proven to not grey and wrinkle in an ice bucket. G3 understands that different wines have different ageing needs in the bottle. Light fruity white wines typically age best when very little oxygen is allowed into the package while very heavy red wines might need relatively high oxygen exposures. Due to the increasing popularity of a new lightly carbonated wine category, G3 has developed patent-pending cap liner technologies that control or minimize the oxygen transmission rate while retaining the wine’s carbon dioxide. Just recently introduced are G3’s GFresh® screw cap liners that hold carbonation while providing an oxygen transmission rate comparable to a SaranexTM cut-disk liner. In addition, to meet the cold, wet application required for bottling carbonated wines, GFresh PS labels are designed to work efficiently on surfaces with condensation. G Ink™ is the latest innovation from G3 and is designed to revolutionize shelf impact. The G Ink features both Bichromic and Thermochromic capabilities, which means that it can change appearance depending on viewing angle or package temperature. This gives the bottle’s added dimension and engages the consumer. 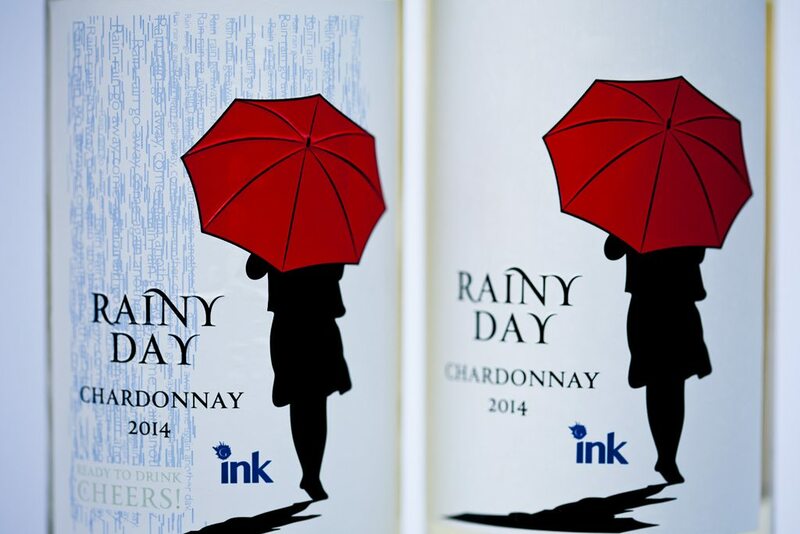 G Ink, just introduced at Unified Wine & Grape Symposium this year, opens a world of options for creative label and cap designs that catch the eye, engages the consumer, and even provides useful information such as when the bottle reaches ideal drinking temperatures. Since G3 produces both labels and caps, the G Ink creative options extend to the capsule printing too. MODESTO, Calif. (January 27, 2014) -- G3 Label Divisionannounced that it has earned the Forest Stewardship Council™ (FSC) Chain of Custody certification from Scientific Certification Systems, one of the world’s leading FSC certifiers and one of FSC’s founding members. FSC provides third-party certification confirming that materials sold as Forest Stewardship Council™ certified are harvested from well-managed forest operations. G3 Label Division is a supplier of premium labels to the wine and spirits industries and is FSC certified on GTREE 100% Post-Consumer Waste premium wine label stock. G3 will have GTREE paper available at its booth, #443, at the Unified Wine & Grape Symposium in Sacramento, January 29-30. The FSC label ensures that the fiber used to make the label has been tracked from certified re-pulping facilities (post-consumer waste paper that is recycled) all the way through the supply chain to G3 for the production of the labels. G3 takes supplier responsibility seriously and holds its GTREE paper suppliers accountable for the source of their raw materials and requires third-party verification that the suppliers are in compliance with the FSC standards, says Brendan Kinzie, senior director of G3 Label Division. Scientific Certification Systems is the leader in environmental and sustainability certification. One of the first certification bodies accredited by the Forest Stewardship Council in 1996, SCS has since certified more than 30 million acres of well-managed forests and 3000 companies in the FSC supply chain worldwide.G3’s trademark license code is FSC-C119052. Responsible for participating in the development and execution of sales programs designed to maximize the sale of company products and increase the company’s standing within the industry. 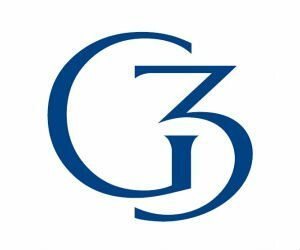 Responsible for developing marketing plans and implementing sales programs leading to growth in G3 Enterprises revenues (primarily to the wine,, spirits and beverage industries). Responsible for developing influential relationships with internal and external customers. Seeks out prospective wine, spirits, and other beverage clients and persuades them to purchase G3 Enterprises products and services. Develops and strengthens relationships with existing customers to ensure a favorable standing in the marketplace. Prepares forecasts and analyzes trends in sales, demand, finance and general business conditions. Analyzes existing and potential product/service markets. Develop and utilizes sales and marketing programs, pamphlets, print ads, etc., to help promote the Company’s objectives. Analyzes competitive marketing programs in order to provide successful recommendations for G3 marketing in select business channels. Develops and executes sales presentations for customers. Directs and assists outside sales agents in representing and selling our products. Directs customer service and technical service efforts to support sales activity. Oversees billing and collection activities. Reviews customer quality expectations to ensure customer satisfaction. Maintains professional relationships within the industry to enhance G3 Enterprises reputation as a supplier to be trusted. Prepare sales reports, sales letters, etc. as needed. Prioritizes product development ideas with customers. Bachelor’s degree plus 8 years Sales or Marketing experience; or 12 years Sales or Marketing experience reflecting increasing levels or responsibility. Experience selling packaging products such as labels, closures (corks), logistics services, mobile bottling services and bottle decorating services. Travel by air and car is required. Skilled in the use of MS Word and MS Outlook at an intermediate level MS Excel and MS PowerPoint at a basic level. Bachelor’s degree plus 10 years of Sales or Marketing experience reflecting increasing levels of responsibility. Customer driven and a team player. Skilled in working independently, making sound decisions under demanding time constraints. Experience reading, analyzing and interpreting complex documents. Experience responding effectively to the most sensitive inquiries or complaints. Experience writing speeches and articles using original or innovative techniques or style. Experience making effective and persuasive speeches and presentations on controversial or complex topics to top management, public groups and boards of directors. Skilled in applying mathematical operations to such tasks as frequency distribution, determination of test reliability and validity, analysis of variance, correlation techniques, sampling theory and factor analysis. Experience applying principles of logical or scientific thinking to a wide range of intellectual and practical problems. Experience dealing with nonverbal symbolism (formulas, scientific equations, graphs, etc.) in its most difficult phases. Experience dealing with a variety of abstract and concrete variables. While performing the duties of this job, the employee is regularly required to walk and talk or hear. The employee frequently is required to sit. The employee is occasionally required to stand; use hands to finger, handle, or feel; reach with hands and arms; stoop, kneel, crouch, or crawl; and taste or smell. Specific vision abilities required by this job include depth perception. While performing the duties of this job, the employee is occasionally exposed to wet or humid conditions, fumes or airborne particles, outdoor weather conditions. The noise level in the work environment is usually moderate to loud. Anticipating a growing demand from its customers to provide food safety certification to meet the requirements of the Food Safety Modernization Act, G3 Enterprises Closure Division announced today that it has achieved Food Safety System Certification 22000 by Lloyd’s Register Quality Assurance. Since the passage of the Food Safety Modernization Act in 2011, considered the most sweeping reform of the country’s food safety laws, the food and beverage industries have begun requiring suppliers to provide food safety certification to ensure the safety of their products. This has caused many suppliers to scramble in an effort to identify certification programs and begin the rigorous qualification process that G3 Enterprises has already completed. G3 Enterprises' closure division is the most integrated provider of closure products in the wine and spirits industries providing caps, corks, capsules, stoppers, crowns, and bar tops. As an ISO 9001 and 14001 certified manufacturer, G3 invests in the latest equipment and technology to meet evolving customer needs. For 50 years, the company has provided quality products and solutions to beverage customers in the United States, Canada, and Mexico and throughout Europe. MODESTO, Calif. (January 25, 2013) – G3 Enterprises has announced it has been recommended by UL DQS Inc. to receive ISO 9001 Quality Certification and 14001 Environmental Certification for its Mobile Bottling Division. The International Standards Organization’s ISO 9001 and 14001 certifications assist companies throughout the world to ensure they have quality management systems in place and to reduce impacts of the business on the environment. Once the certifications are obtained, the G3 Mobile Bottling Division will join the G3 Label and Closure Divisions as ISO Certified. The rigorous ISO standards are incorporated in all quality and environmental processes within the G3 Mobile Bottling Division. This recommendation is the latest achievement for the Mobile Bottling Division which has increased its bottling capacity, capability and flexibility to enable its customers to respond even faster to an ever-changing market. G3 Enterprises Mobile Bottling Division was first to offer a mobile bag in box line and first to offer an alternative packaging line capable of filling PET and flat panel bottles. it a popular option for wineries and spirits companies who need more production capability or want the flexibility to sample new packaging ideas to meet the growing demand among consumers, without having to make a hefty capital investment in new buildings and bottling lines.” said Beth Nagle, Sr. Director and General Manager of the G3 Mobile Bottling Division. For more information visit: www.G3Enterprises.com or call toll-free: 1-800-321-8747. A wide variety of high quality closures at competitive prices. 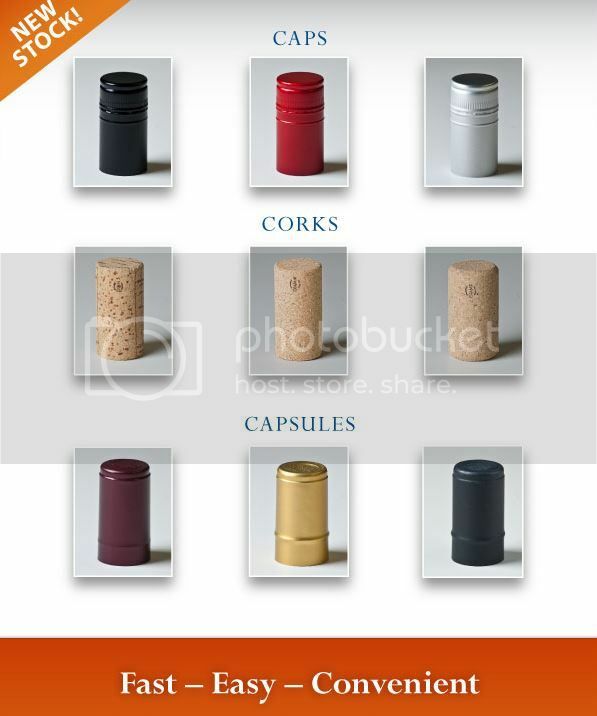 Minimum order of one case for caps/capsules or one bag for corks. Bundling colors is acceptable via phone order. MODESTO, Calif. (February 4, 2013) – G3 Enterprises has announced it has been recommended by UL DQS Inc. to receive ISO 9001 Quality Certification and 14001 Environmental Certification for its Mobile Bottling Division. In response to growing demand from small winemakers, brewers and spirit producers, G3 Enterprises is now offering stock closure products in a variety of options, colors and sizes with a one case (or one bag for corks) minimum order. In the past, suppliers have typically required large minimum orders which precluded many small producers from responding quickly to emerging market opportunities. With its new online order system, G3 can rapidly respond by leveraging its technological capabilities and state-of-the-art production facilities to provide this growing market of customers with high-quality and affordable closures. "We are receiving more and more inquiries from a number of smaller producers who want our American-made caps, corks and closures but only need small quantities. 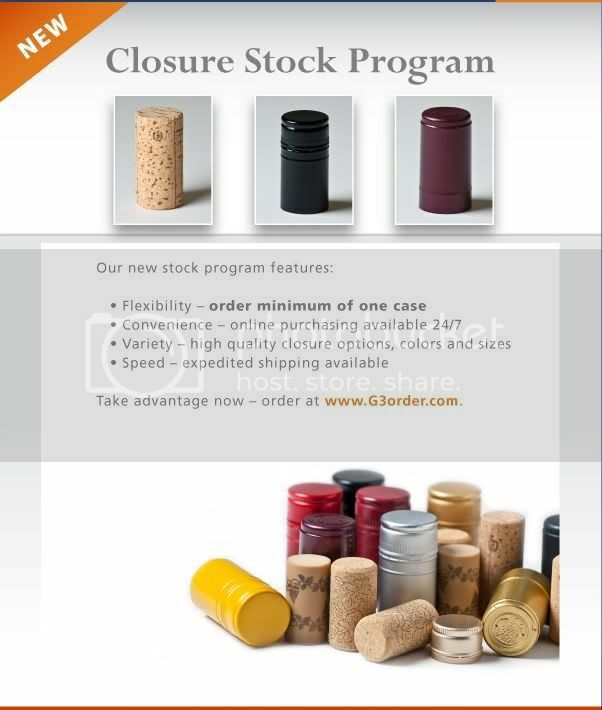 Now, through our online store, (www.G3order.com), they can easily purchase standard closure products, including screw caps, polylaminate capsules, and corks, to best meet their needs," said Mihailo Panovich, VP of Sales for G3 Enterprises. He added, "G3 continues to provide producers, regardless of size, with all of their packaging and supply chain solutions." G3 Enterprises' closure division is the most integrated provider of closure products including caps, corks, capsules, stoppers, crowns, and bar tops in the industry. As an ISO 9001 and 14001 certified manufacturer, G3 invests in the latest equipment and technology to meet evolving customer needs. For 50 years, the company has provided quality products and solutions to beverage customers in the United States, Canada, and Mexico and throughout Europe. G3 Enterprises was founded by the third generation of the Gallo family to serve the wine and spirits industry with quality packaging products and supply chain solutions. With a talented team of experts offering customers a variety of creative solutions and outstanding customer service, G3 Enterprises offers a wide range of supply chain assistance including labels, closures, transportation, warehousing, winery services and mobile bottling. To order stock closures, visit www.G3Order.com. GTREE Sustainable Labels is featured in www.sustainablebrands.com! For many years the wine industry has been addressing sustainability opportunities and issues throughout its supply chain—from viticulture, winery operations and the bottling line to packaging and labeling.However, until recently there were few sustainable label options for brand owners that were both cost-competitive and provided adequate performance. Co-Authored by Tom Gallo and David Lunati. View the complete articlehere. Our Mobile Bottling division is the best and most versatile in the industry. We own the most advanced bottling lines, designed to deliver unparalleled quality. We have introduced three new lines including the first mobile bag-in-box and an alternative packaging line capable of bottling PET and flat panel bottles for wine and spirits. Moreover, our expansion has increased our bottling capacity, capability and flexibility, allowing customers to react quickly to the market. Now Offering Closure Stock Program - Order Minimum of One Case! G3 Enterprises, a single source provider of packaging and supply chain solutions, is pleased to offer stock closure products in a variety of options, colors, and sizes. Customers can now place orders anytime with a minimum of only 1 case per order. Founded by the third generation of the Gallo Family, G3 Enterprises has more than four decades of experience in building partnerships with our customers and suppliers to deliver quality results and increased productivity in the wine and spirits industry. Visit G3 Enterprises to learn more about our company and full-range of products and services in our portfolio. Modesto, California. 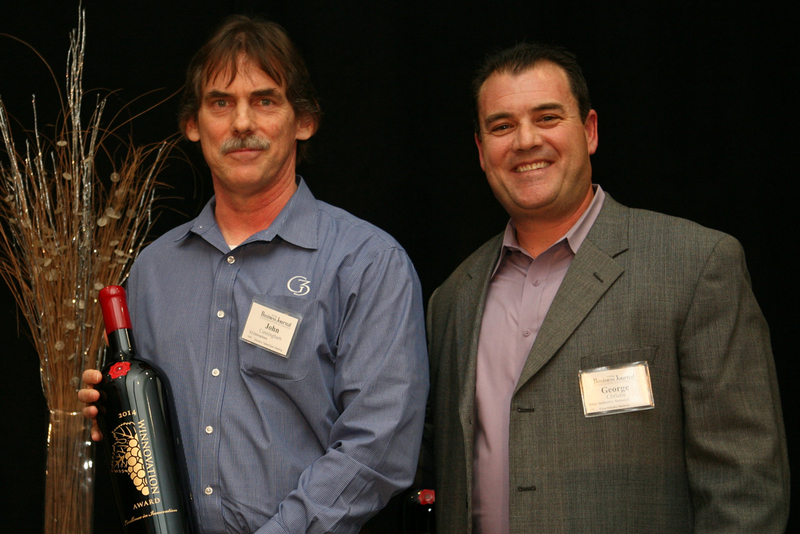 August 25, 2011 –G3 Enterprises has earned an Award of Excellence from the International Metal Decorators for the distinctive screw cap closures it created for Charles Creek Vineyard. Utilizing the latest technology and leveraging decades of industry experience, the G3 team has mastered the ability to print high quality caps. The process of stretching the aluminum into a “shell” and printing on round caps is a very delicate and challenging process that is rewarded with a finished product that is both eye-catching and memorable. Charles Creek Vineyard, which just won a Double Gold Medal, score of 98, the highest award presented at the prestigious 2011 California State Fair, now only offers wine with G3’s screw caps citing both the quality of the wine and the outstanding packaging. For more information about G3 Enterprises and its screw cap closures, visit: www.G3enterprises.com or call 1-800-321-8747. G3 Enterprises has announced the latest printing technology and new design capabilities added to its long-skirt aluminum screw cap product portfolio. The ROYAL 90® Performa distortion printing process transforms artwork from a flat aluminum sheet, to the G3 ROYAL 90® screw cap. Under the ROYAL 90® Performa design option, distortion printing enables G3 to offer customers a lower cost alternative to traditional top and side printed caps. Distortion printing starts with a flat sheet of aluminum upon which the top and side printed images are applied. This technique utilizes high-quality computer assisted lithography. As the flat metal sheet is formed into the dimensions of the final cap, the desired side image is created. This single-step printing process allows for more flexibility in package design, saves considerable printing time and is generally more cost-effective than traditional methods. G3 Enterprises introduced its ROYAL 90® aluminum screw cap in response to increasing customer demand for a reliable alternative to cork closures. G3 produces these caps at their plant located in Modesto, California. In addition to adding distortion printing capabilities under the Performa design option, G3 will increase ROYAL 90® production capacity in early 2011 with the addition of new state-of-the-art printing equipment. A smooth finish (no-knurl) option providing a refined look and additional space for decoration is also available for ROYAL 90® Standard and Performa. Applied with standard ROPP bottling equipment, no expensive line change parts are required. The G3 smooth finish cap is easy to use and cost effective. G3 Enterprises has consistently delivered quality, as the most integrated packaging service provider to the beverage industry. The company serves a diverse clientele with a full range of product portfolios from traditional to alternative closures. With decades of proven experience, G3 has delivered results and built partnerships with customers and suppliers worldwide. The company offers a full portfolio of supply chain services including Labels, Closures, Transportation, Warehousing, Mobile Bottling, and Winery Services. For more information about G3 Royal 90® screw caps and ordering, contact G3 at 1.800.321.8474 or visit www.G3Enterprises.com. G3 Enterprises launched the first mobile Bag-in-Box line in the United States. G3 Enterprises has expanded its Mobile Bottling Division with the addition of three new bottling lines offering alternative packaging options, increased capacity and the first Bag-in-Box line in the United States. These three new mobile bottling lines are designed to meet growing demands of the company’s already successful mobile bottling service. The expansion brings customers increased capacity, capability and flexibility. “The wine industry is constantly evolving and customers are always looking for new and innovative packaging. With our industry expertise and experience, we believe G3’s Mobile Bottling Division gives wineries and spirit companies the flexibility to try new packaging ideas without having to make a significant capital investment in new bottling lines or change parts,” said Robert Lubeck, CEO and President, G3 Enterprises. 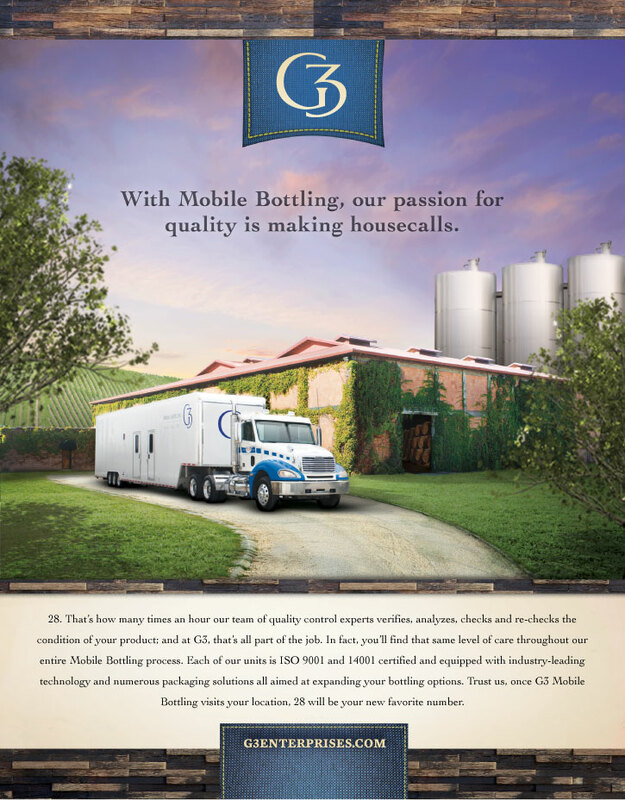 With over 50 years of experience providing packaging and logistics solutions to the wine and spirits industries, Mobile Bottling was a natural addition to G3’s portfolio of products and services. It gives customers of any size the opportunity to take advantage of new packaging trends quickly and cost effectively. Quality is crucial at G3 Mobile Bottling and G3 is focused on offering unparalleled quality control supported with frequent testing and monitoring during bottling runs. A dedicated G3 team works directly with winemakers to meet individual needs. G3 Enterprises has consistently delivered quality as the most integrated service provider to the wine and spirits industry. The company now offers the most technologically advanced Mobile Bottling lines in the nation. With decades of proven experience, G3 has delivered results and built partnerships with customers and suppliers worldwide. The company offers a full portfolio of supply chain services including Labels, Closures, Transportation, Warehousing, Mobile Bottling, and Winery Services. For more information and details on G3 Mobile Bottling, contact G3 at 1.800.321.8474 or visit www.G3Enterprises.com. Our logistics team transports both raw materials and finished goods domestically and internationally. We transfer grapes from vineyards to crush facilities, transport bulk commodities, manage imports and exports for our customers, and move products via boxcar, intermodal and truck. With 25 years of experience, we have become an industry leader, giving our customers the flexibility, quality and the outstanding service they deserve. Our established experience in both transportation and warehousing allows us to effectively manage critical components of our customers' supply chain under one roof. Our warehousing division has facilities in several locations to accommodate our customers' storage needs and their growing businesses. We have 3,000,000 square feet of warehouse space in California's Central Valley, 350,000 square feet of warehouse space in Chicago and warehouse partnerships in Pennsylvania, Georgia, Florida, Texas, Kansas, New Jersey, and the United Kingdom. Our commitment to handling products effectively and efficiently consistently exceeds our customers' expectations. Our established experience in both warehousing and transportation allows us to effectively manage critical components of our customers' supply chain under one roof. Our Mobile Bottling division is the best and most versatile in the industry. We own the most advanced bottling lines, designed to deliver unbeatable quality. This year, we have launched three new lines including a first mobile bag-in-box, and an alternative packaging line capable of bottling PET, flat panel and aluminum bottles. Our expansion has increased our bottling capacity, capability and flexibility, allowing customers to react quickly to the market. In order to excel in this competitive marketplace, we have recruited the nation's most talented technicians to deal with our customers' greatest challenges. Our team identifies problem areas and provides alternatives to solve these issues. Whether it's trouble with an application, designing a new package development, improving a process or solving any challenge at the packaging facility, our technical team can assist customers throughout the process from beginning to end. Product Qualification Assistance: Whether you start up new equipment or qualify a new or different material, our team is there throughout the process. Our primary goal is to ensure our customers have the optimal equipment and application capability to deliver outstanding value while using any closures or labels they choose for their brand or product. On-Site Support and Assistance: We can deliver any degree of support that our customers require in order to ensure our products deliver the highest level of quality and performance. We provide these services through every phase of our relationship with a customer, from initial product selection or design, through product application. Our Technical Solutions staff has decades of packaging experience, and we firmly understand the need to achieve profitability in packaging and marketing success. Package Evaluation Tests: We offer Cork Pull Force, Cork Characteristics (Length, Diameter, Ovality, Density, Moisture), Cap Torque (or Removal Torque) and Secure Seal Test (Gross Leakage Test). Oxygen Transmission Testing: We have three Mocon Oxtran 2/21s & two Mocon Oxtran 2/61s for testing closures, bag-in-box, plastic bottles and films and can customize oxygen & relative humidity settings if necessary. Bottle Bore Profiles: A bottle bore profile describes the shape of the inside neck of a wine bottle where it contacts the stopper. Each bottle bore profile includes 222 individual measurements per bottle. Microbiology: Wine or Closure Sterility (bottled, BIB, corks, screw caps, etc) and TCA Producing Mold Identification. Process Improvement Consulting Services: We have the knowledge & ability to solve the most troublesome process, waste & equipment issues. Wine Taint Analyses & Remediation Products: We are the only company in the industry that offers TCA (2,4,6-trichloroanisole) & IBMP (3-isobutyl-2-methoxypyrazine) wine analysis paired with the technology to correct wines containing unacceptable levels of these compounds. Our method of analysis satisfies the industry standard by using GCMS-SPME with an internal deuterated standard. We developed and patented TRIEX technology to selectively remove these contaminant molecules from wines. Triex is available in FIBRAFIX TX-R depth filtration sheets by Filtrox.